Square Enix has announced a Kingdom Hearts VR experience and it will be coming as a free download to PlayStation VR later this year. Unveiled during the PlayStation LineUp event in Japan this week, it will invite players to explore a brief yet magical outing in the Kingdom Hearts universe. The 10 minute experience will have players reliving their favourite memories from past Kingdom Hearts adventures in anticipation of the third entry, which launches in January 2019. Fans will also be able to unlock exclusive digital content, presumably for use in Kingdom Hearts 3, by playing through the VR title. A concrete release date is yet to be confirmed beyond a ‘Holiday Season’ window. We’ll be sure to update you once something more definitive is announced. For now, check out the trailer that also dropped yesterday below. Having been on the wishlist of fans for over a decade now, Kingdom Hearts 3 was announced way back in 2013. And now, it’s only a few months away. 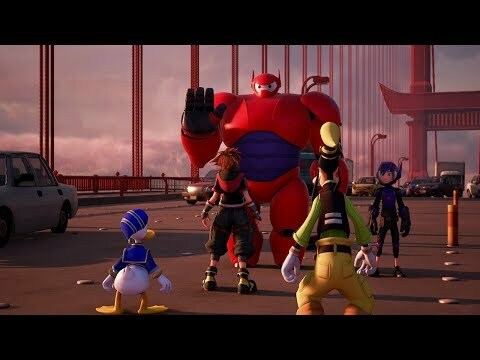 What do you think about Kingdom Hearts entering the realm of virtual reality? Let us know on Facebook and Twitter @trustedreviews.